The teaser. New Generation ACTUALLY is CLEAN. We just need to use it. 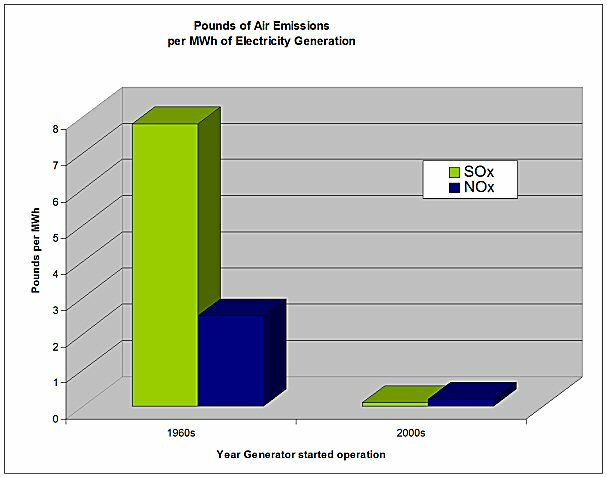 70% of all of our Air Emissions are caused by the 1970s era generation. Yes! it is. The environmentalist' have dominated the conversation and prevented us from building new power plants. The big environment folks should be saying "We have met the enemy and he is us". There are 578 coal power plants built before 1978. There are hundreds built before 1962. The date 1962 is important because that is when we invented COLOR TELEVISION. Yep, we have hundreds of ancient power plants -- that we can't seem to replace. We need to get the message out. Big Oil needs to do better at "taking thier own side" in the aurgument. What are your thoughts? Join the conversation . . .